Theo's Angel Key symbolises purity, goodness & spirituality. It has been beautifully made from 18ct White gold with 0.18ct pavé Diamonds. 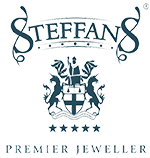 Theo Fennell is generally acknowledged as Britain's foremost designer of jewellery and silverware. His pieces have been captivating the world for over 25 years. His unique work is truly innovative and distinctive stretching the boundaries of these crafts. The collections are more than just jewellery and silver. He is passionate about the originality and craftsmanship of every piece that passes through the workshops, above their flagship store at 169 Fulham Road, London.